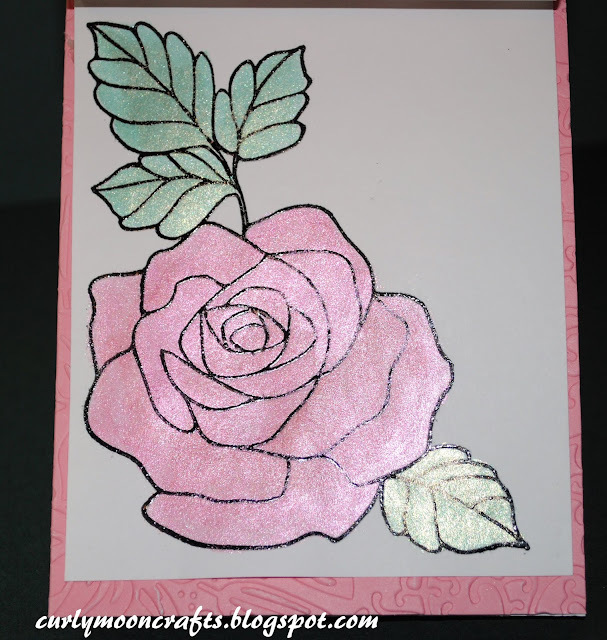 Hi Friends: Today's card uses a technique that I watched on Jennifer McGuire's blog. It's a vellum overlay of a stamped / colored image on cardstock underneath. I used the Rose Wonder Stampin' Up! stamp on a cardstock panel - stamped with Versafine Black and heat embossed with clear embossing powder. I colored the image with my Pearlescent Watercolors. For the vellum overlay, I stamped the same image on vellum with Versamark ink and heat embossed with white embossing powder. The Finnabair butterfly is also stamped on vellum with Versamark and white embossing powder, then colored with the Pearlescent Watercolors, fussy cut and stapled to the vellum overlay. 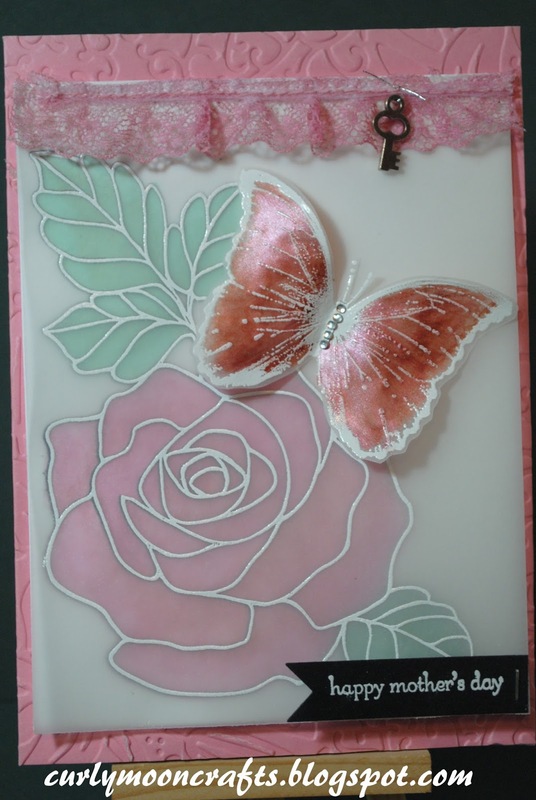 The Mother's Day sentiment was stamped on black cardstock with Versamark and white embossing powder. The card is finished with some lace, a key charm, and some gems. I hope the recipient will like it! Thanks for taking a look. Have a great day! Beautiful card! Love that pretty flower and butterfly! !